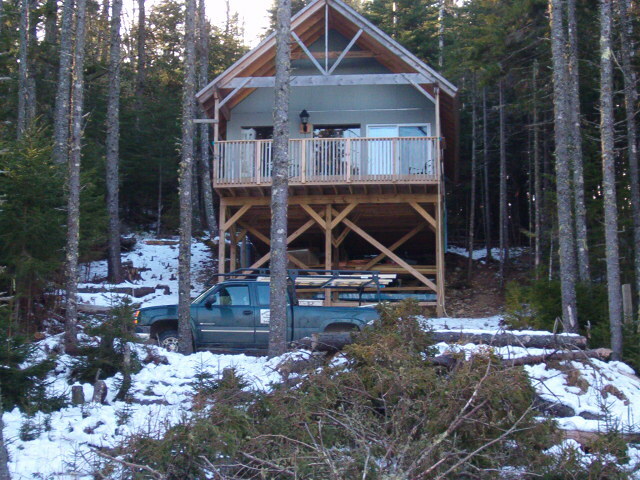 Puzzlewood, Inc. is a full-service remodeling and general contractor based in Deer Isle, Maine. Run by 20-year industry veteran Henry W. Borntraeger IV, Puzzlewood is known for innovative designs and reliable, honest service. With more than 60 years combined experience on our 5 person crew, we know that top-quality work and flawless customer service are the keys to success. We apply these principles in our complete caretaking services as well. 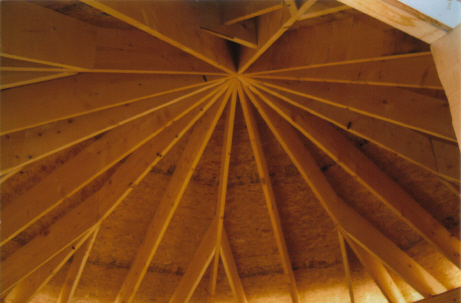 From complete restorations to remodels, additions to boat barns, we offer the solutions to creative design accompanied with efficient and cutting-edge green building practices. Our many years of primarily remodeling and restoration experience provides specific expertise needed when dealing with many of the unique old houses found in the area. A custom enclosed porch with a lowered deck. A custom, re-created cantilevered deck. At Puzzlewood, we take safety very seriously. An in-house designed 24 X 60 boat barn with 14-foot custom doors. A custom, in-house designed seasonal home nears completion. 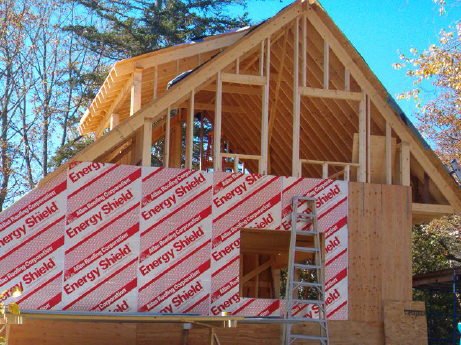 A custom, in-house designed carriage shed with apartment above is being framed and sheathed with energy-efficient sheathing. We make sure that even the smallest details are planned into each project. Some tricky roof framing is ready for exterior trim and roofing.